New Works Rise & Shine Natural Oak Wall with brass weight. This is a mirror on the wall that is adjustable in height. He balances at the top on the Oak. 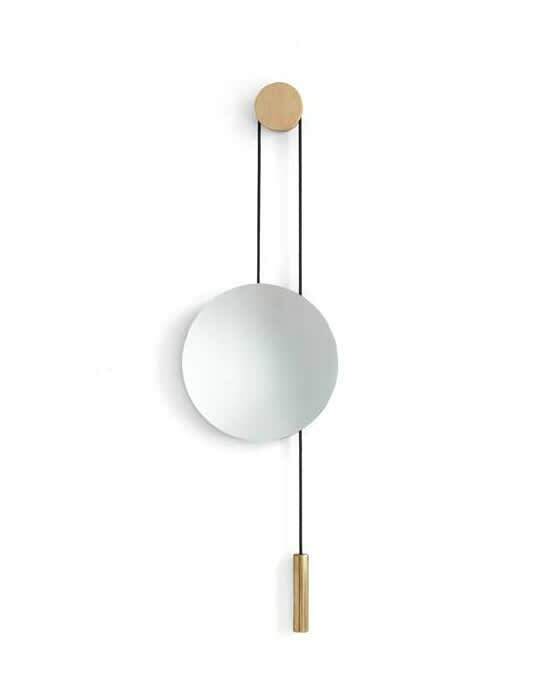 The brass counterweight is attached to the mirror with a rope and ensures that the mirror can be adjusted to different heights.